January is peak summer in New Zealand, and this year’s summer has been like nothing on record. According to new figures, January was the island nation’s hottest ever month, with no other month coming close. The average temperature for the month was 20.3 degrees Celsius (68.5 degrees Fahrenheit), more than 3 degrees Celsius (5.4 degrees Fahrenheit) above normal. The previous record was 19.6 degrees Celsius (67.3 degrees Fahrenheit) set in February 1998. 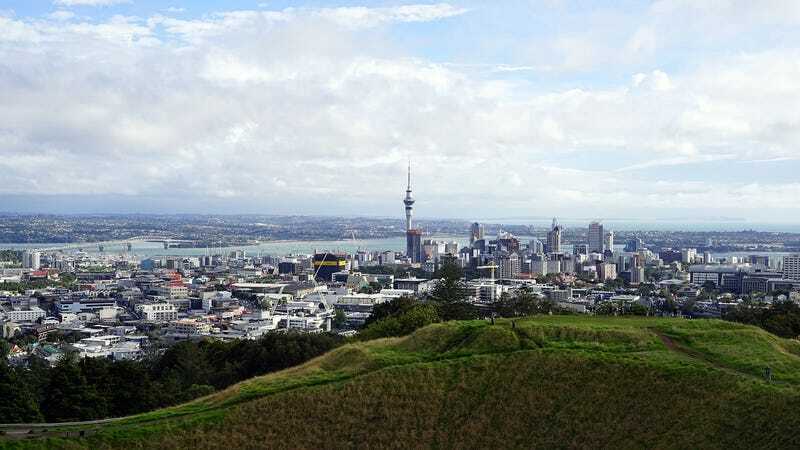 According to Auckland-based climate change scientist and meteorologist Jim Salinger, it’s the warmest month the country has seen since reliable records began in 1867. New Zealand’s weather is heavily influenced by the surrounding seas, and Salinger explained to The New Zealand Herald that a lack of cold outbreaks over the Tasman Sea and to the east produced a marine heat wave that in turn suffocated the landmass. Kiwis, as New Zealanders are endearingly known, are not so easily flustered though, and Prime Minister Jacinda Ardern jokingly referred to the hot spell as “fan-ageddon.” After all, an average summertime temperature of around 70 degrees is probably pretty enjoyable on a day-to-day basis, although temperatures did rise to over 100 degrees Fahrenheit on occasion, something New Zealanders aren’t accustomed to at all. Ardern also noted the serious long-term implications, especially after a tropical storm just broke the heat wave and replaced it with heavy rainfall and flooding. “We also have to look at the climate impacts we’re seeing now—this is pretty erratic weather systems we’re seeing coming through, it’s a message to us that we need to address issues like climate change,” Ardern said on Friday. A December New Zealand government report warned that billions of dollars worth of infrastructure is at risk from climate change, including 68,000 buildings at risk from sea level rise.